Not only that it scares all the vampires away, garlic really keeps you safe. People consume garlic on a daily basis because they want better health. Don’t mind the smell. There are many smell killers today. You will diminish that bad breath away with a mint or something. Seriously. Since I started believing and sharing the benefits of garlic, people send me “Thank You” e-mails that really make my day. Yes. It has that power. You won’t even feel the smell, but you will enjoy its benefits. I don’t know if you remember, but this 113-year-old man uses garlic on a daily basis. It’s not from nothing. Garlic is even used in this natural recipe that will make you look younger. And finally, I use it to stay away from colds and flu. Since I started, the flu and colds are seeing me as their biggest enemy. You thought this was it? – Garlic didn’t stop here. Since doctors saw that garlic is good for treating stomach problems, they started prescribing it. Not as a medicine of course. They tell their patients to use garlic in their meals for better digestion of the food. Studies have confirmed that eating garlic on an empty stomach is the same as taking medication. 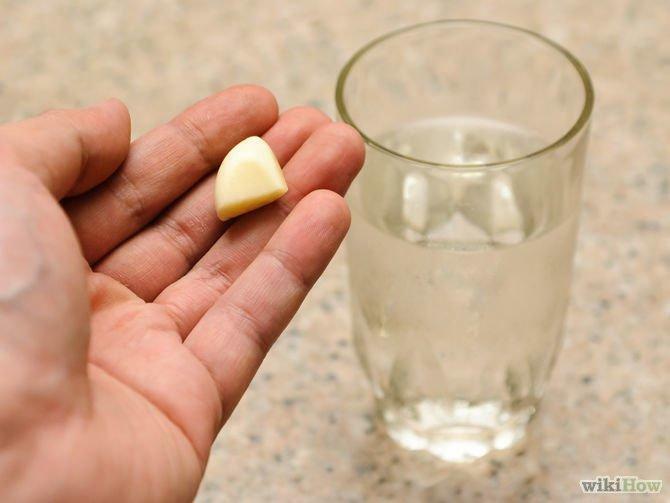 The difference between garlic and medication is that medications are not allowed to be taken on an empty stomach. 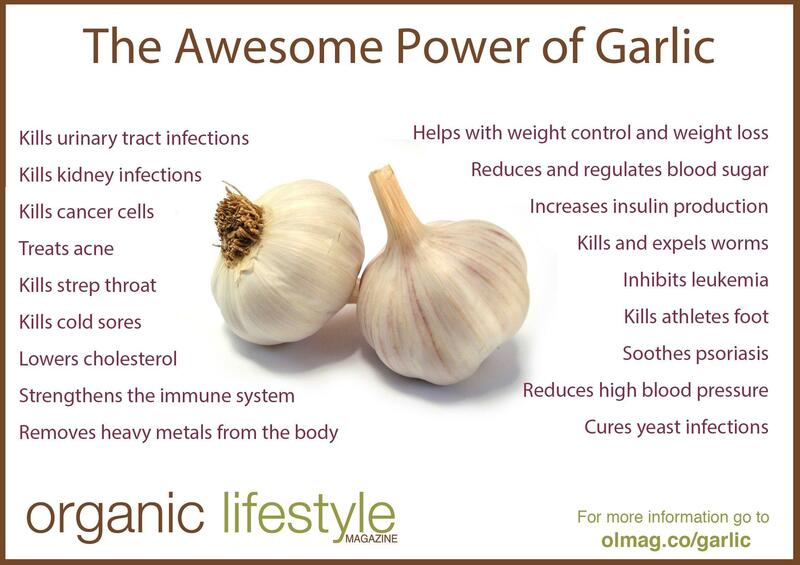 Your body has the ability to transform the garlic into a powerful antibiotic. It scares the diseases away. So, why on an empty stomach you asked? Garlic is good, but somehow it doesn’t sound like it would make a nice breakfast. In fact, it doesn’t sound like you’d be having it for dinner or lunch, either. 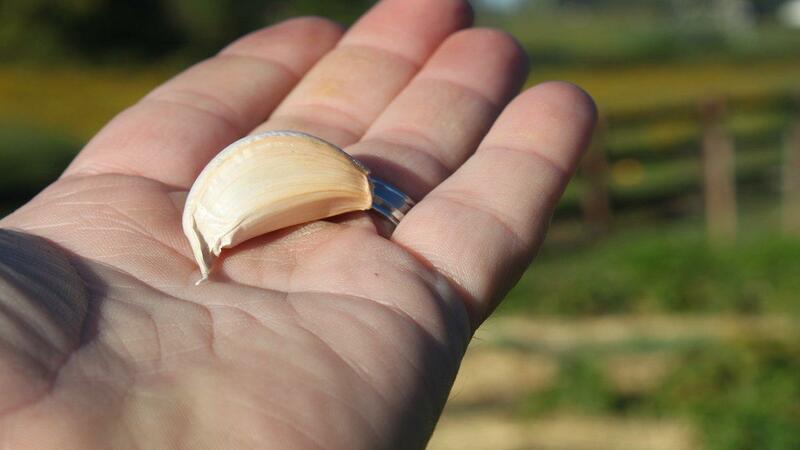 When you find the right usage of raw garlic, you will see it has a lot of potentials. When you cook garlic, especially with some fatty oil, it loses all of its potentials. I prefer cooking it with a little bit of organic oil. With that being said, let’s take a look what garlic does to your body. Garlic is a great healer for if you have respiratory problems. Some women believe it treats and prevents pneumonia, lung congestion, bronchitis, cough, and more. Consuming an entire garlic bulb everyday treats the symptoms of tuberculosis. Its medicinal properties are best available if you are consuming it raw or slightly browned. Create this infusion for treating diseases like this. You’ll need 700 grams of refined sugar, 1000 grams of water, and 200 grams of garlic. Boil the water with the garlic and add sugar. Take 3 tablespoons of it every day. Instead of sugar, you can use raw honey. For curing the symptoms of chronic bronchitis, you’ll need a homemade mixture. You will need 100 grams of 90 proof alcohol, 40 grams of garlic, and a bottle. Combine all of these ingredients in the bottle and let it soak for 6 days before training. Drink a cup of it every day. Use the same mixture as above. Add 30 drops of it in hot water and add mint extract and drink. See, it’s not that bad. The taste and smell will bug you for a couple of days. After you get used to it, you won’t have nothing to worry about. It’s important for you to understand that garlic protects your health if you consume it regularly. If you can’t get used to eating it on an empty stomach, mixing it with your healthy meals is the least you can do. These benefits need to be shared with your friends.